2010-11 will be an important year for all the Pens, but let's take a look at a few that will be watched a bit more closely. Yes, the 2010-11 edition of the "Hot Seat." As if there wasn't already enough pressure on TK, the Pens front office decision to keep Tangradi multiplies that by 3. This means that there are now 14 forwards (including Godard) on the roster and there will be 15 once Staal comes back. Unless somebody is sent to WBS soon, it means that Godard and one other will need to sit out each game (or 2 when Godard plays). The ones nominated for that role will likely come down to either Talbot, Letestu, Tangradi (assuming he stays in PIT), and TK. Letestu seems like a lock to play, and Bylsma wouldn't keep Tangradi around unless he planned to use him. The bottom line is that TK is probably already looking at limited starts, and that number could dwindle even more unless he improves on last year. I certainly don't think the management would go as far as sending him to WBS, though that option is still on the table as well. 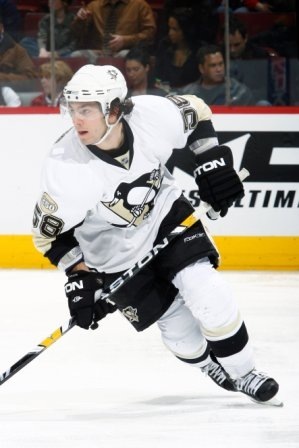 On a positive note, he has held his own thus far in camp and could get back to his 2008-09 form. Tanger must not have trusted the Ice Crew last year, because he used more of his shots as a means to test the strength of the plexiglass backstop than he did testing the opposing goalie. His situation is a bit more favorable than TK's, as he has his contract and roster spot locked up for a while but he is at risk of losing his top 4 slot and some TOI if his shots don't start hitting their mark. The turnovers will also be scrutinized heavily this year, but if he can fix both of those things than his "hot seat" may start to cool off a bit. Perhaps the biggest glaring failure of last season was the powerplay. 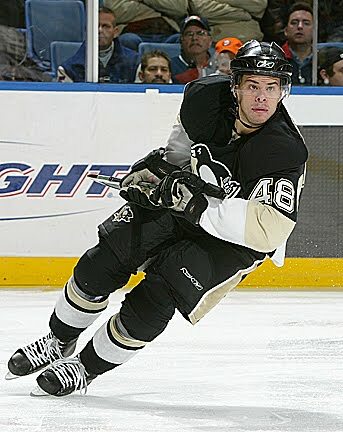 Despite having the more talented guys on the ice about 95% of the time, the Pens struggled with time management and simply were not able to generate enough QUALITY shots with the man advantge. With Mike Yeo gone now, the powerplay is expected to have a different "revamped" feel to it last year lead by new PP QB Alex Goligoski (replacing Gonchar). 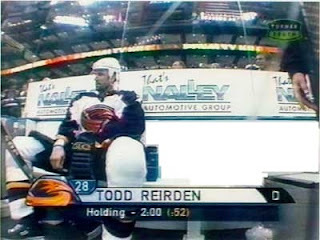 *yes I know Reirden really won't be in charge of the PP, but the picture is still pretty good.